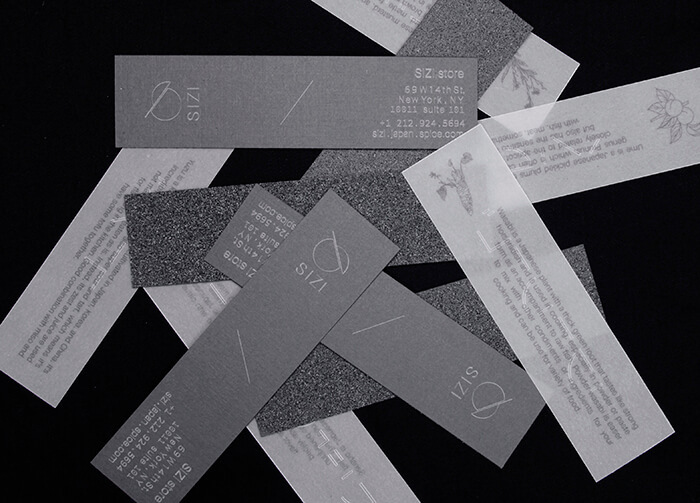 Designed by: Kazuha Otake, USA. 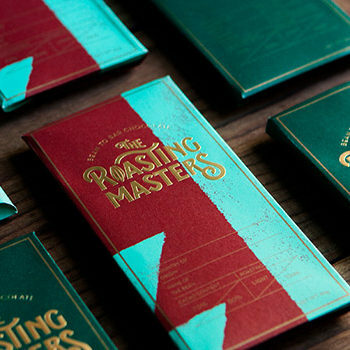 Design often depends on graphic elements and texts to provide information. 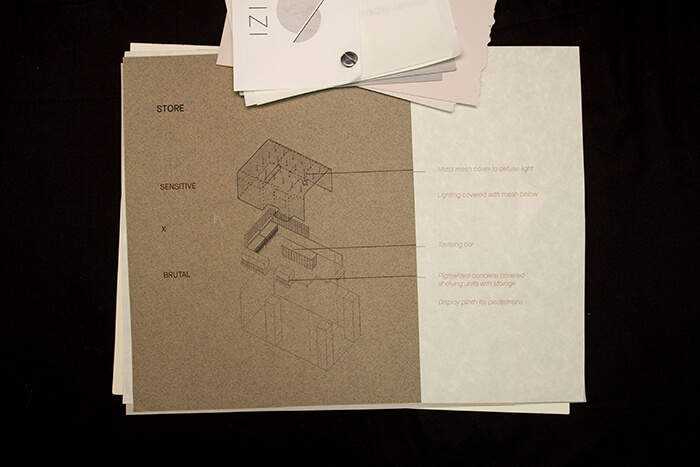 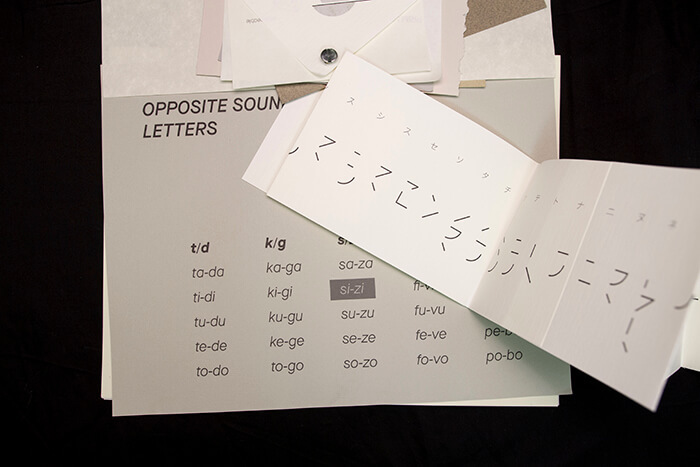 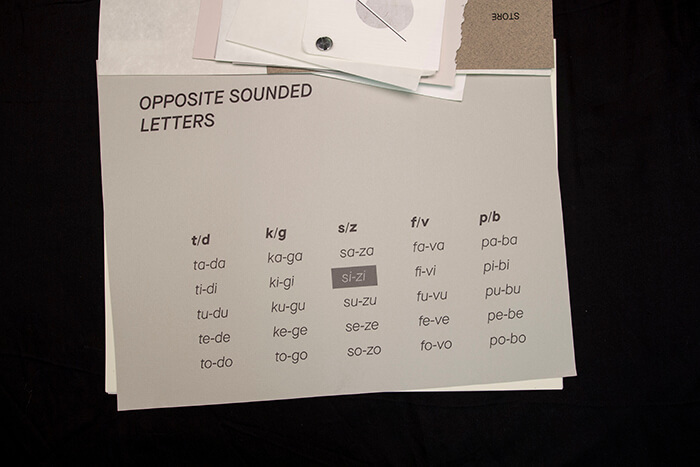 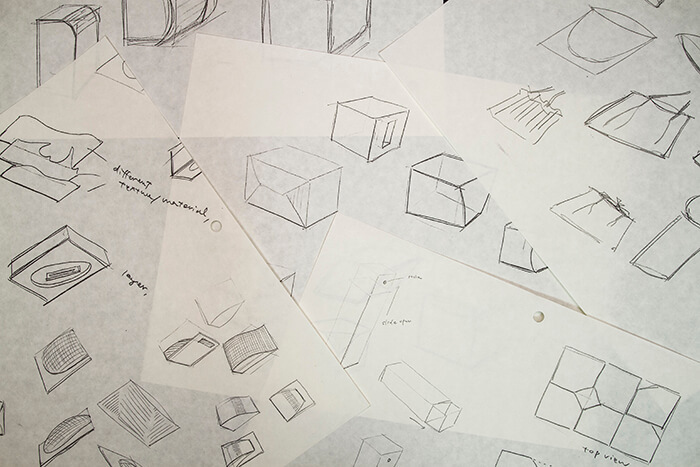 This project explores how to create a visual and haptic language that communicates without relying on specific languages, letterforms or graphic symbols and I approach the experience of a package through the senses, capitalizing on texture, form, tone, and materials. 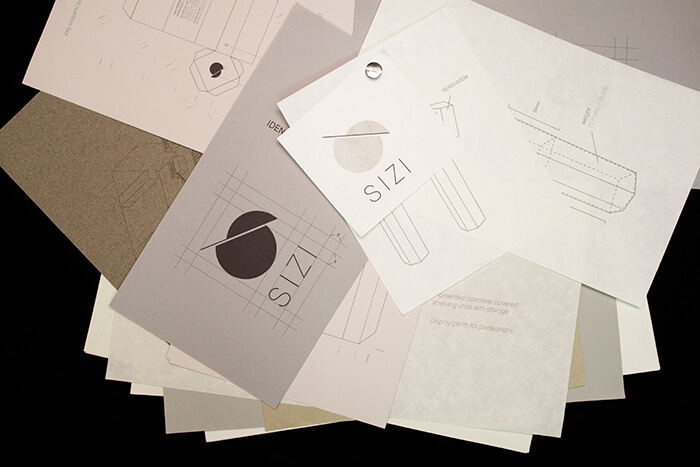 I designed a new line of Japanese spices “SIZI”. 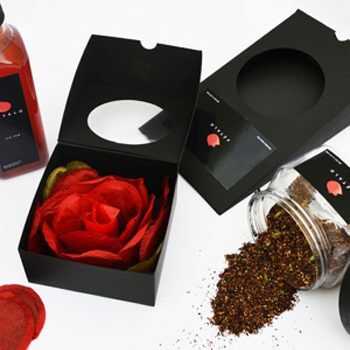 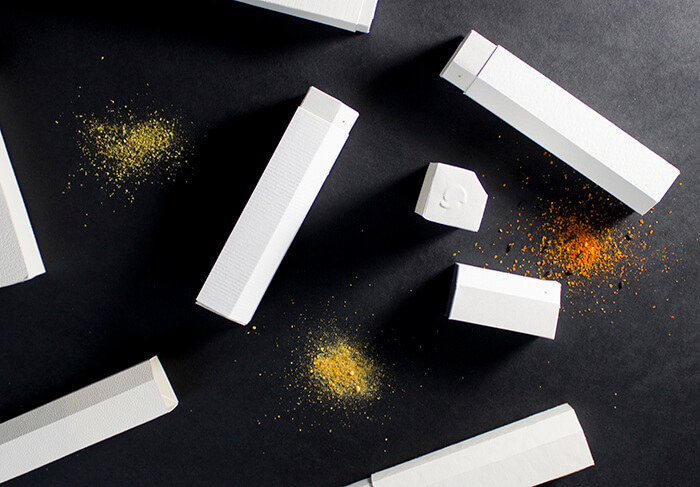 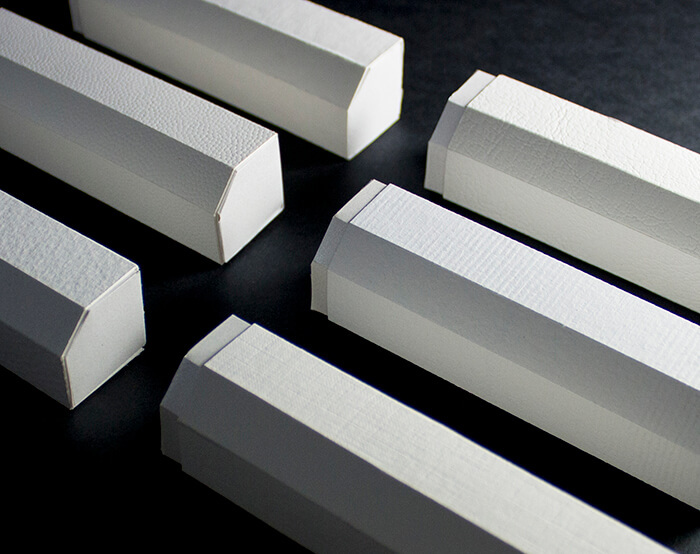 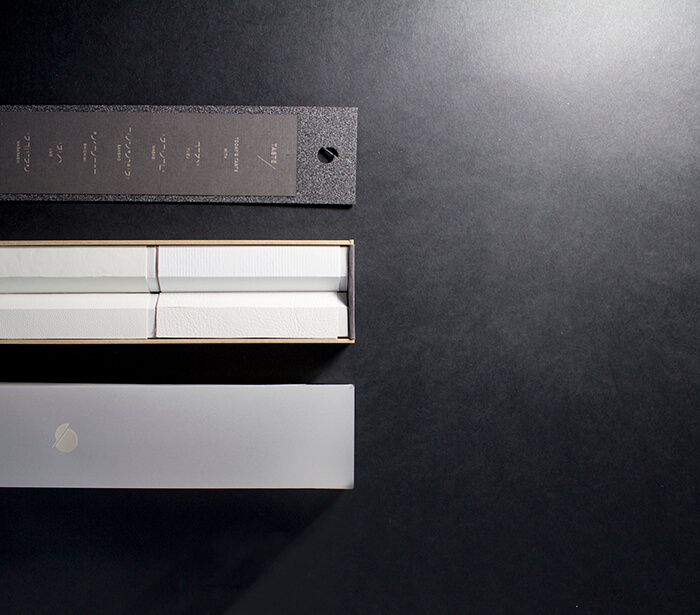 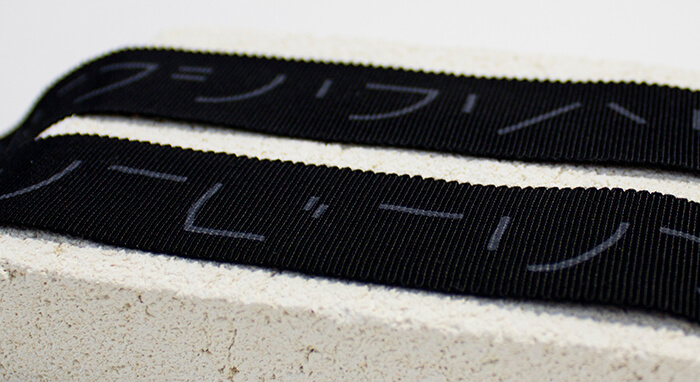 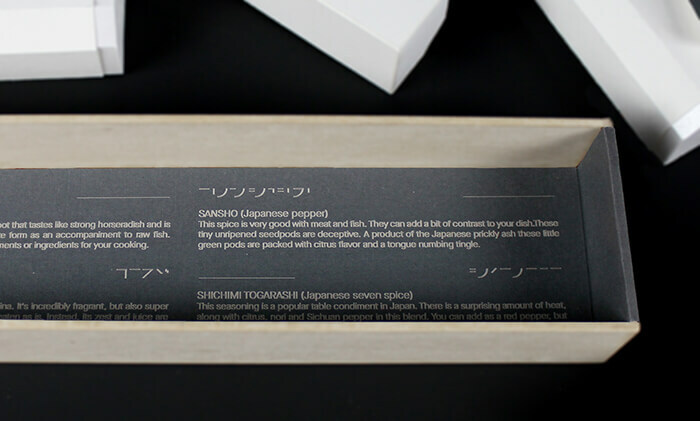 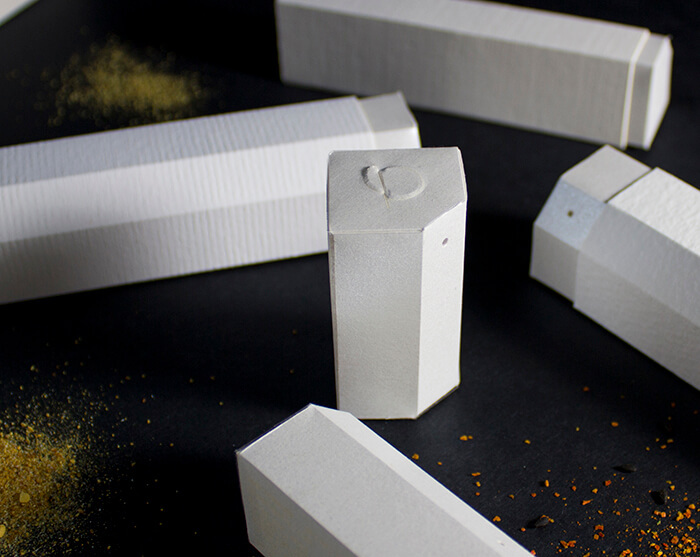 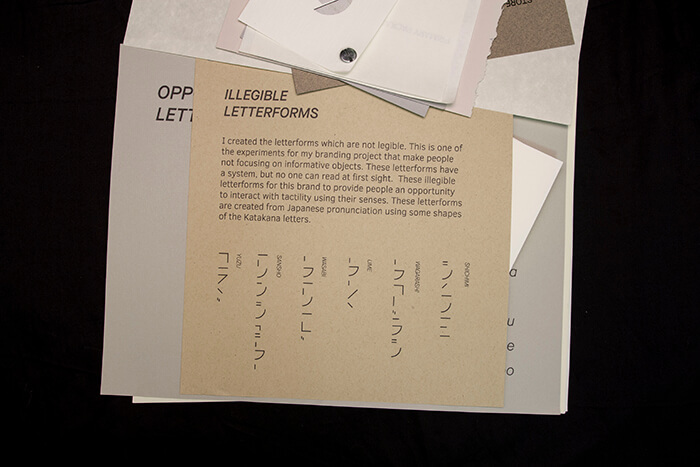 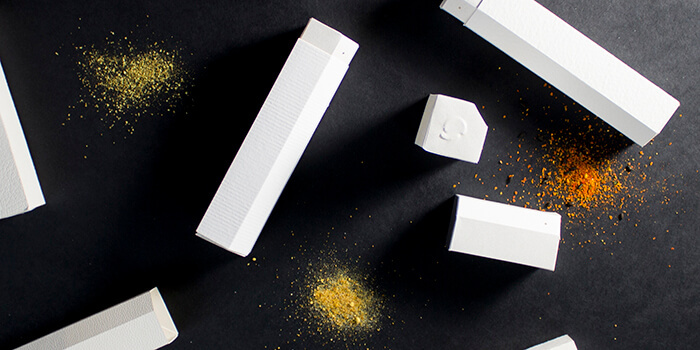 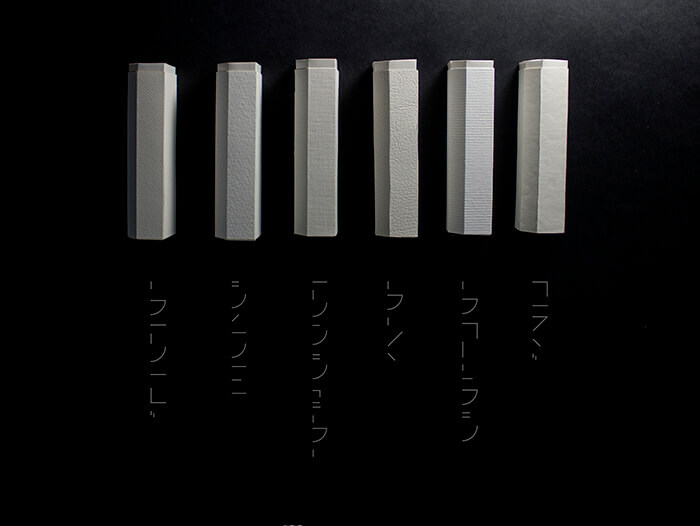 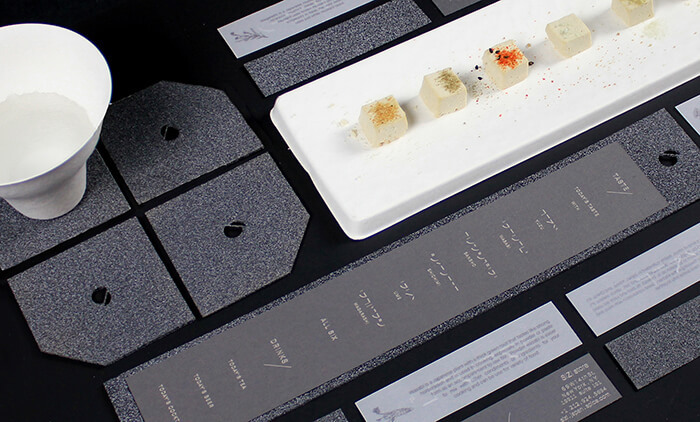 The concept of the product line, the name, the packaging solution, and overall branding is based on haptic design which reflects the unique sensitivity and refined taste of the Japanese culture. 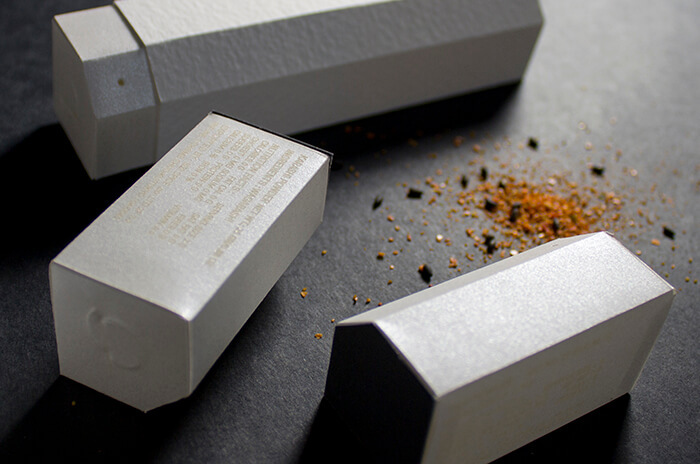 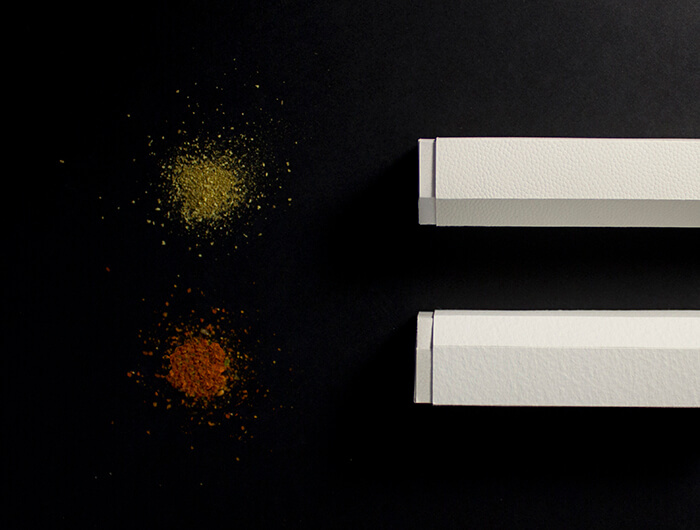 Unlike any other spices Japanese spices add a refined dainty and ever so slight accent to a dish. 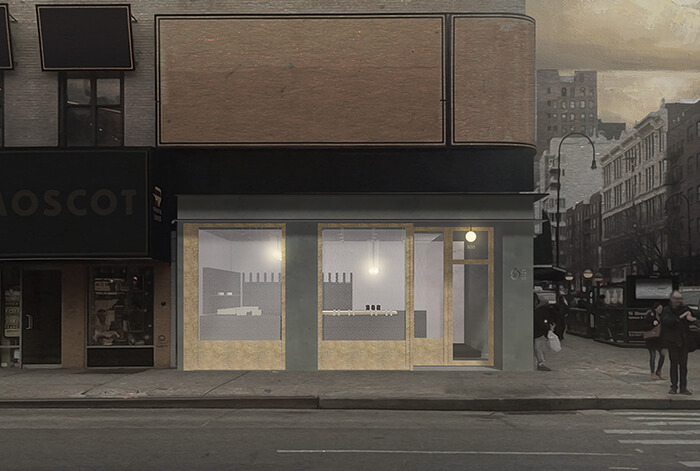 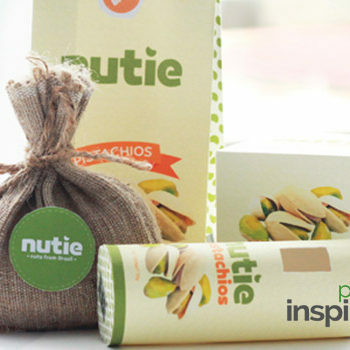 This one of a kind feature is represented in the entire branding design and concept solution. 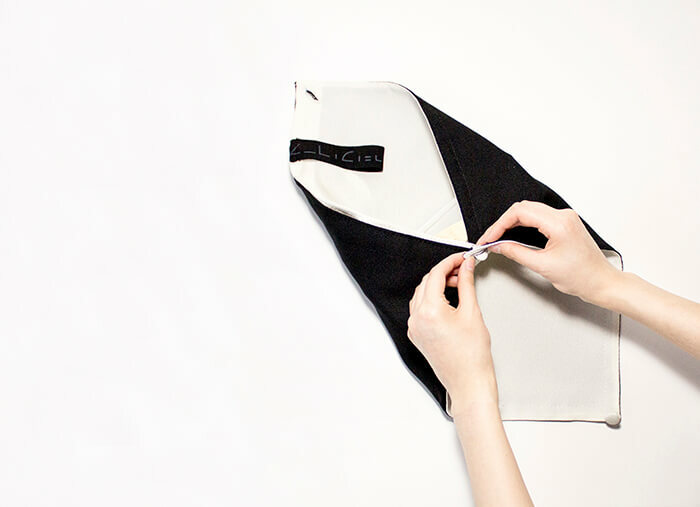 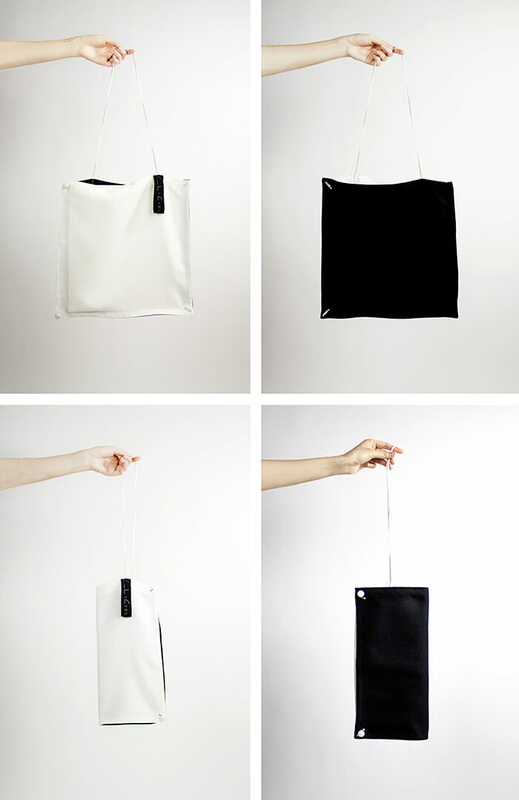 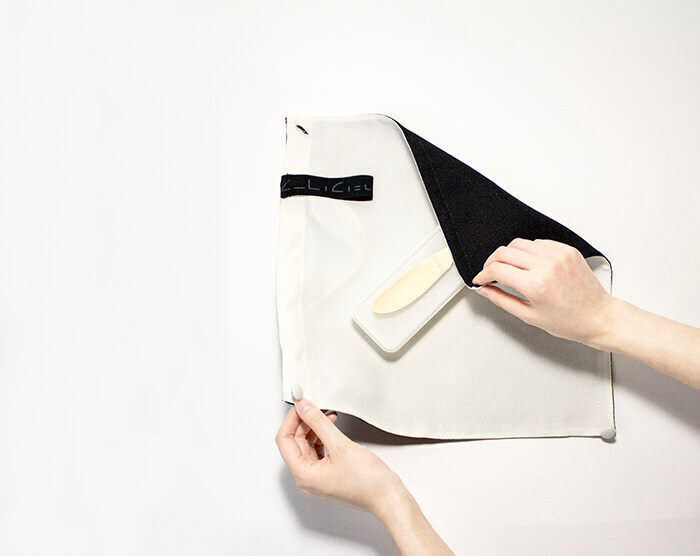 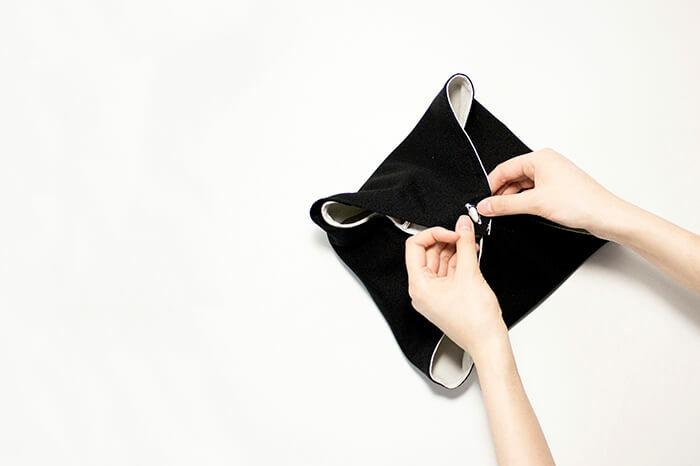 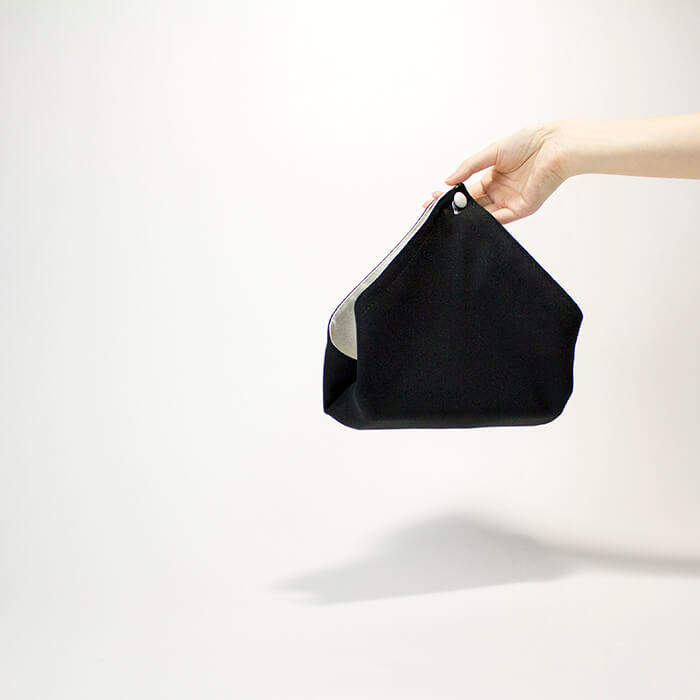 >Instead of having a standard shopping bag, I designed a multiple use fabric bag. 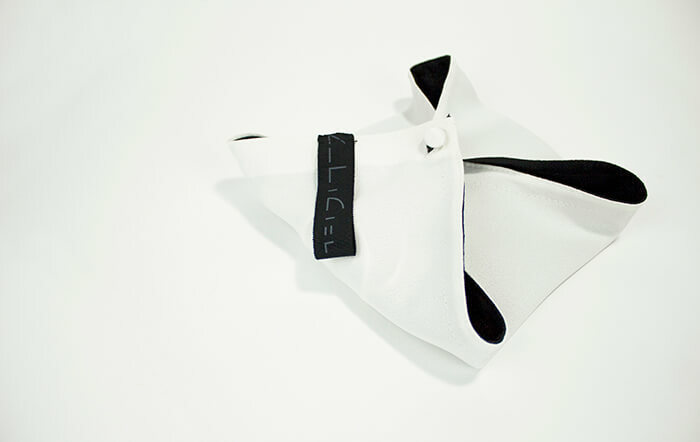 I wanted to create the moment that people use their senses through the product I made, I used fabric which has unique tactility also matches to the branding concept and other designs.